Folks, this edition of our Crafty Crawls series is an easy sell. One of the easiest, some would argue. 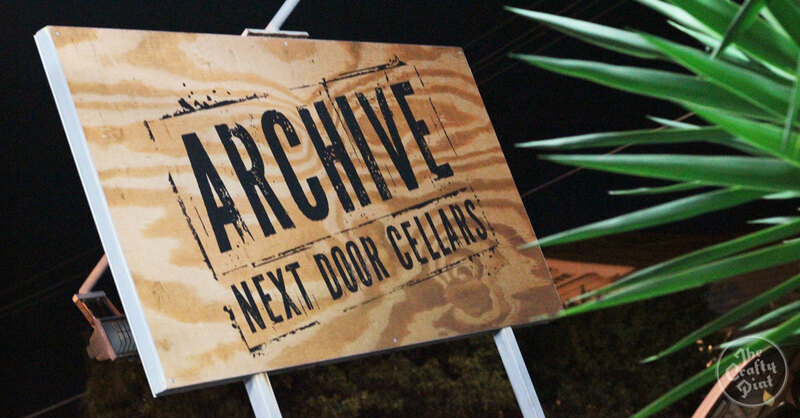 West End has long been a destination for Brisbane craft beer drinkers, ever since Archive Beer Boutique opened its doors in 2011. Now? Well, there’s never been a better time to descend upon the south side of the river. The beautifully brown, shark-filled, absolutely toxic river that snakes through the most perfect city on Earth: Brisbane*. Additionally, the walk from venue to venue is crazy short, especially since we decided to split the area into two Crawls – check out South Brisbane & Beyond here. Like, we’re talking just a few minutes between each stop at most. We’ve got you covered from breakfast til dinner, or lunch til dinner, or dinner til second dinner depending on your own personal schedules, daily requirements and preferences. Do what you like, we’re not your mum. 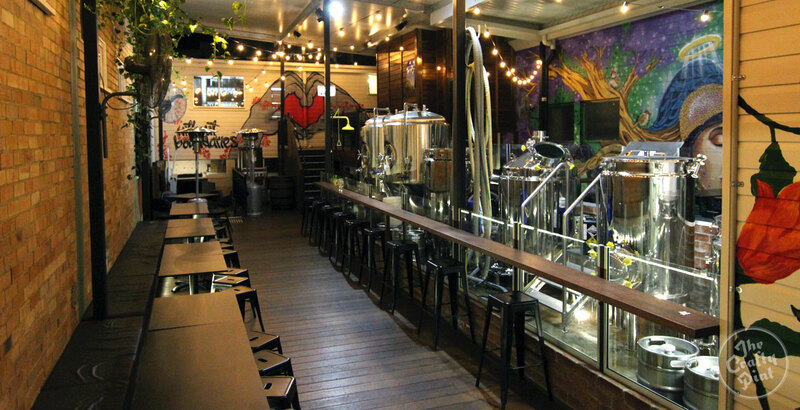 The birth of craft beer in Brisbane has a lots of people to thank, certainly, but Archive Beer Boutique has played an integral role in the rise of damn good beer in South East Queensland. 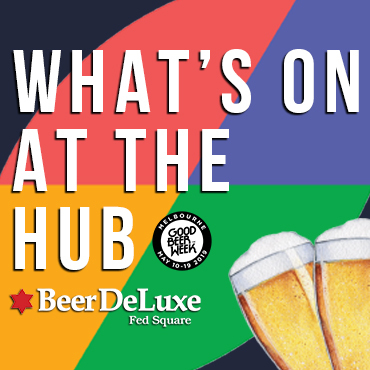 They’ve been around as long as time itself (it feels like) and alongside live music and the chance to whack your mates in the shins with a pool cue for cheating on the table, they provide West End with a banging bottleshop AND growler refills. There’s hundreds of brews to choose from, which is phenomenal but also a personal hell if you’re indecisive or time poor. Pull up a pew and recharge your fragile body at 100 Boundary Street. Stroll out the back door of Archive and across the street and you’re literally at The Burrow. After the sorrowful farewell of their Mollison Street house (RIP) in 2016, they put on their hard hats (they probably didn’t wear hard hats) and began renovations on the Russell Street venue. Next door to the infamous Rumpus Room, they are, in a way, just as much a staple of West End culture as their party-loving neighbours. Join the Burrow crew at 52 Russell Street. 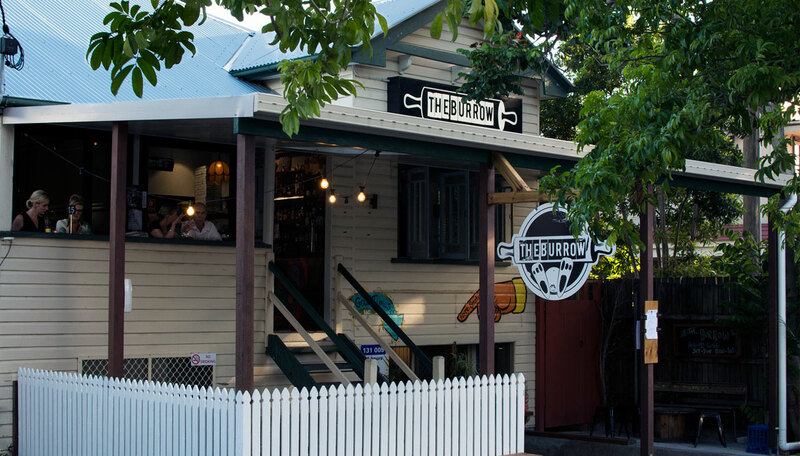 Very much like that of The Burrow, Brisbane Brewing Co encapsulates the heart and soul of West End and imbibes the comforting atmosphere of the local’s local. 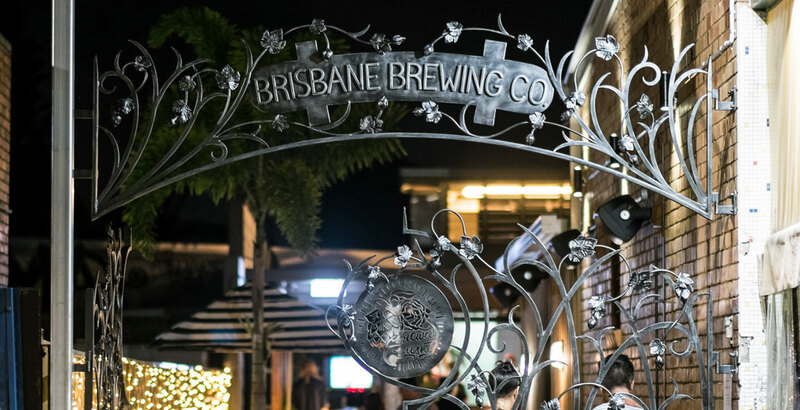 After operating for years in Albion the venue, a subsidiary (or brewery baby, if you will) of Brewhouse Brisbane in Woolloongabba, was reopened in 2014 in the heart of the suburb along Boundary Street. With the brewers at the reigns of a 10 hectolitre system, Brisbane Brewing Co has been producing more wild and wonderful single batch releases than pretty much any other Brisbane brewery. Check out what's new on tap down the laneway at 124 Boundary Street. When you’re walking through West End and glimpse a sign saying The Bearded Lady, you’re likely to take a second look. And so you should because, while this venue might catch your attention because it’s different, it’ll keep your attention because it’s earned it. It’s hard to describe the decor. Look up at the ceiling, you’ll think you’re in a barn. Look at the old piano and recycled timber and retro furniture on your right and you’ll feel like you’re in a western saloon. 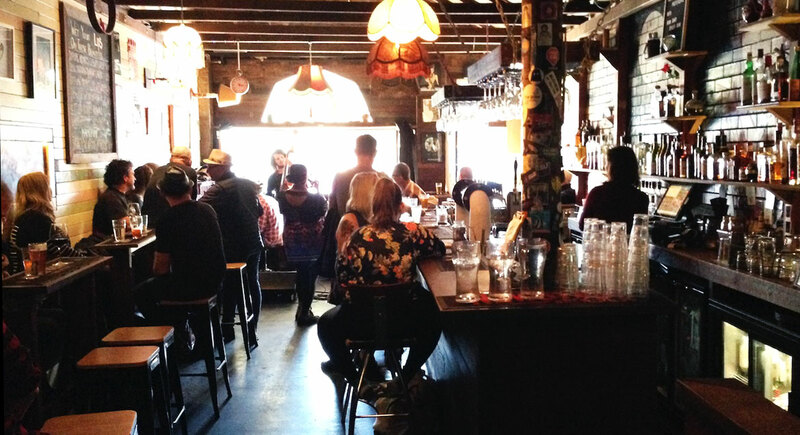 Look at the bar, with all its punky graffiti and copper, and you’ll think you’re in an American dive bar. "Eclectic" doesn’t quite cover it. It’s very West End. In a good way. 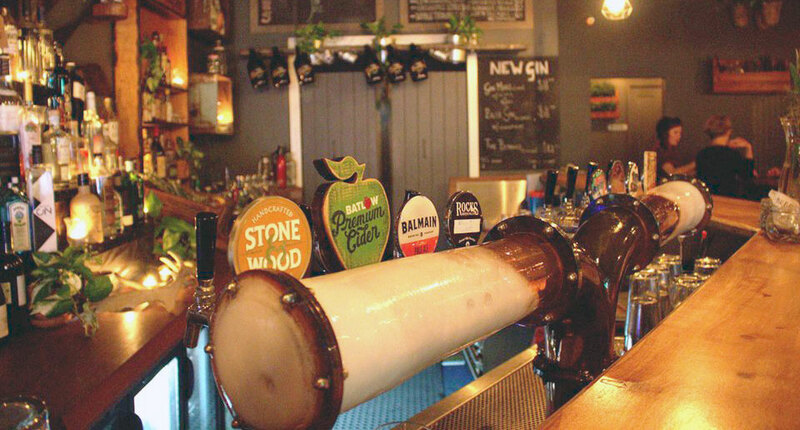 For a venue that isn’t aimed solely at the beer geek, Bearded Lady does beer well – there are six beer taps (plus a cider tap), serving up Aussie goods from the likes of All Inn, Newstead, Ballistic Beer and Young Henrys. If you’re ready for something harder to break it up, their list of spirits is tight and tidy – neither disappointingly short, nor confusingly long. And then there’s the array of cocktails, from the classics to the dessert-y Apple Crumble, the sweet Turkish Delight and the Moonshine Hard Lemonade to put hair on your chest. The Bearded Lady lives at 138 Boundary Street. Head in, and feel the grunge. FEEL IT! Catchment Brewing Co opened its doors for the first time in late 2015 and wasted little time become an integral part of the West End beer scene. With the bar and upstairs dining areas looking over Boundary Street and the beer garden centred around the brewery itself, there’s plenty to look at. Don’t deny that people watching isn’t intrinsically satisfying: humans are weird looking creatures, period. Crawl? 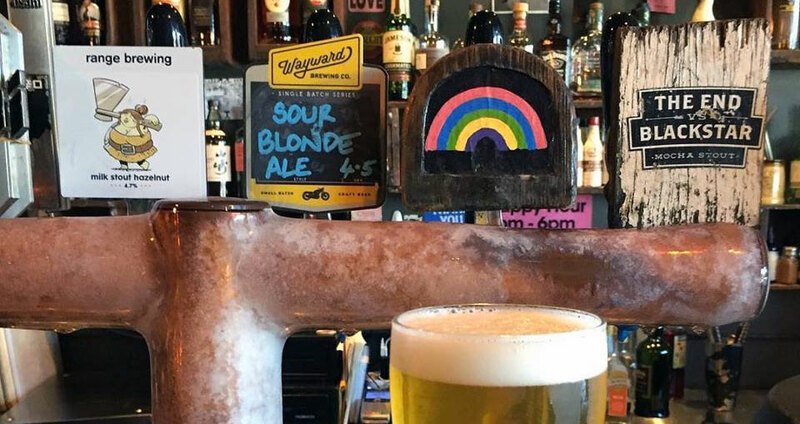 You could pretty much trip over your shoelaces while leaving The Bearded Lady and find yourself in the bar of Catchment at 150 Boundary Street. Once upon a time, there was a cult video store in West End called Trash Video. While it survived longer than the rest of the VHS industry, it eventually closed, and the space was bought up and converted into The End. It’s not much to look at from the outside – it’s hard to even know it's there; well, other than the hand-painted rainbow sign and the people lined up at the door. It regularly reaches its 60 person capacity, though, because it’s just so darn nifty. Without going over the top, it’s retained the video store theme: some Trash Video signage, a big painting of VHS spines, random video tapes scattered around the place. The rest could be described as Dad-chic; the bar itself looks like it was put together from an old deck, the tables are hardwood workbenches complete with carpenters’ clamps and the rest is decorated with paraphernalia that used to be in your garage or back shed. Even the decals adorning two of the six beer taps are made from old wood, and these are the beers that it makes sense to start with when you arrive. The first is the easy-drinking Rainbow Pilsner, The End’s own German-style house beer. The second is the sweet and bitter The End vs Blackstar Mocha Stout, a smooth collaboration with Blackstar Coffee, the legends providing sweet caffeine just down the road. When you’ve had your fill of the beer taps, you can move onto the solid bottle list, or the rum-heavy cocktail menu. Despite being open since 2014, it has become apparent to The Crafty Pint that some people weren’t aware that the name of the venue is an acronym! Not an issue, of course, but this is something we can help clear up. Bosc stands for Bar of Social Conscience, and it is with this in mind that owner Emily ensures her business is doing as much as possible to support individuals, causes and organisations that need a helping hand. What does this mean for you? This means that even if your wallet is plotting your murder (it just loves killin’! ), or your liver is cursing you to the Ninth Circle of Dante’s Inferno (the joke's on your liver – that lake is perfect for chilling brews), your heart is warm with the gift of giving. Find your social conscience a mere 26 metres away from The End at number 69. 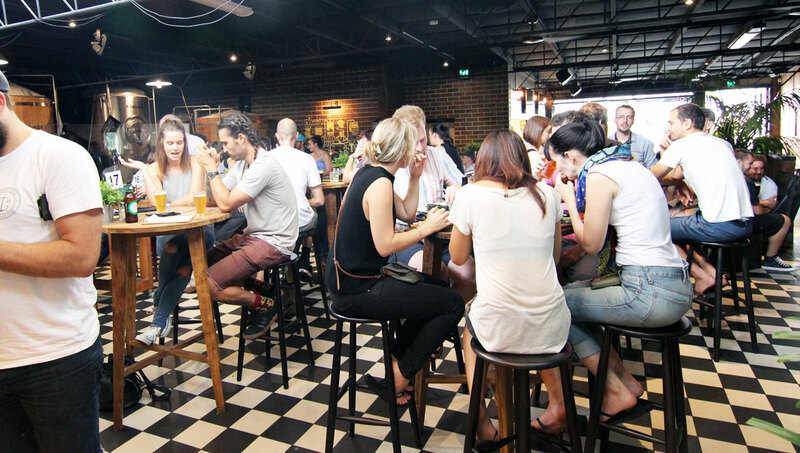 Bosc is somewhat the end of the line for the official crawl but, as mentioned above, since first creating this West End guide, there's been so many new arrivals in the area we now have another covering South Brisbane (and beyond), meaning there’s an array of other fantastic venues to check out, or to save for another day. Hell, seven venues is probably pushing it so don’t be afraid to approach this endeavour in two sessions (you’re going to have a blast regardless). Despite the excitement above, drinking in moderation comes first and foremost; we can’t deny our country has some genuinely fucked up ideas when it comes to the consumption of alcohol. Plus, destroying your palate with 300 pints of that super dank IIPA before dinner when there’s so many great beers to try will only do you (and your Untappd account) a massive disservice. Beer is good but staying alive is heaps better. Advice aside, go forth, descend upon West End! Find all the above venues and hundreds more via the free Crafty Pint app, which you can download here. About the author: Georgie is resident dingus and decal machine at Scratch Bar and garbage bin on Twitter. Some of the entries above are by Mick Wust (check the initials at the end of each). And the photo for The End is pilfered from their Facebook page. *According to this dingus / garbage bin, at least. Check out our other Crafty Crawls here.